Every mitten or glove deserves a thumb with no holes in the gusset. Learn to pick up stitches and follow my tips to make a tidy little thumb for your next hand warmer. OMG. I have been struggling with a thumb gusset for years….to the point that I have been just leaving a hole for the thumb, or not making gloves at all. I just made a fingerless glove with a perfect thumb!!! Thanks so much! Your video and explanation are so clear…woohoo! Excellent video and explanation. My pattern just said pick up 4 stitches, I was completely at a loss until I found this. Also wasn’t sure how to restart working yarn after taking held thumb stitches off holder! Turned out beautifully and now I have your wonderful resource of videos, etc. THANK YOU. I would follow the pattern’s instructions for a better fit. Good morning Michelle, I’ve just watched your video on a thumb gusset and saw where you did 4 cast ons to close the gap. The pattern I’m using says to use only one and I think your way would be better but will it make a difference in the way the thumb fits? I’m knitting Susie’s Reading mitts. Thank you for your help. This was absolutely a super help to me!! I’ve been doing it all wrong. This looks way neater than how I’ve been doing it. Thank you so much!! 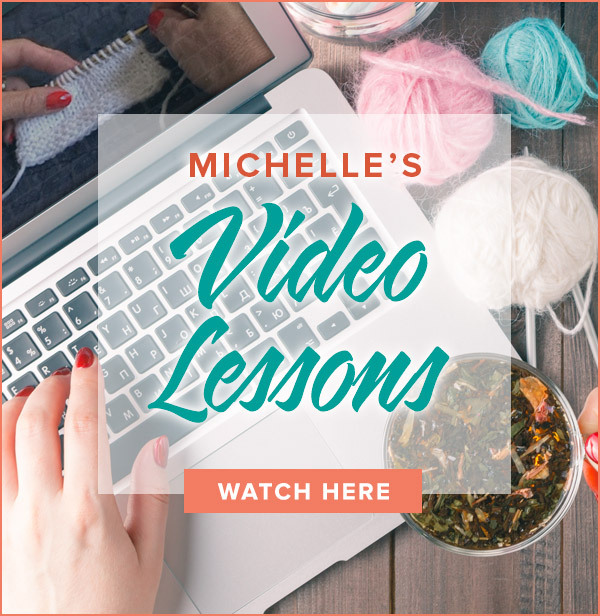 The best video and technique I’ve seen yet on getting my thumbs to finally knit up perfectly! Thank you!! 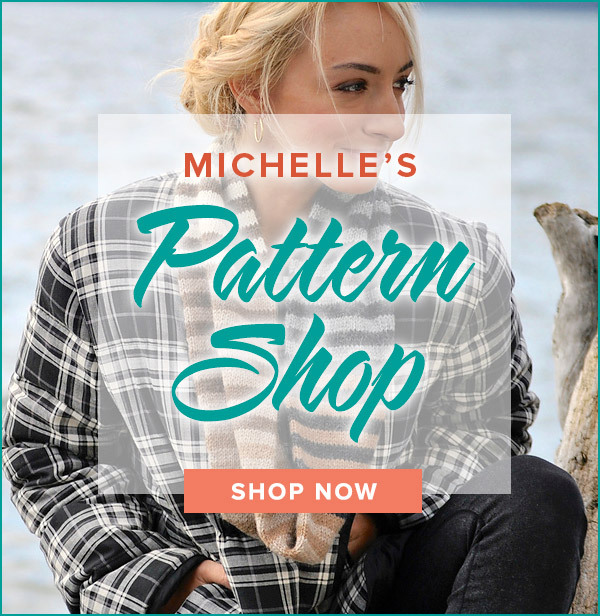 Winter Buzz and Reciprocation are both available on the free pattern page in my website’s Pattern Shop. Happy knitting! I’m so happy you are enjoying the projects, but I think I am having the most fun of all!!!!! What a wonderful time I had with the “Center of Attention” Socks, marvelous directions, wonderful videos and just loved the design… Thank You so Much, now this fingerless glove really blew me away as to how easy and quick it was to knit (not counting waiting time ;-)) and the design is so feminine…. can’t wait for the next project, already have my Trekking “Prism” and needles waiting with baited breath ;-). I am having so much fun with this ;-). Thank for the knit along. I hadn’t made toe up socks before–my first pair, even if I misread the pattern and did a 4 row cable instead of a 10 row. I enjoyed the fingerless glove to as I had not done gloves like that since I was 8 or 10 and my grandmother was teaching me how to do all the individual fingers. Excellent videos also. You do SUCH a Good video showing the methods you use. Very Nice.